From the magnificent mountains, to rugged coastlines to volcanic hillsides, black sandy beaches, green lush rice fields. 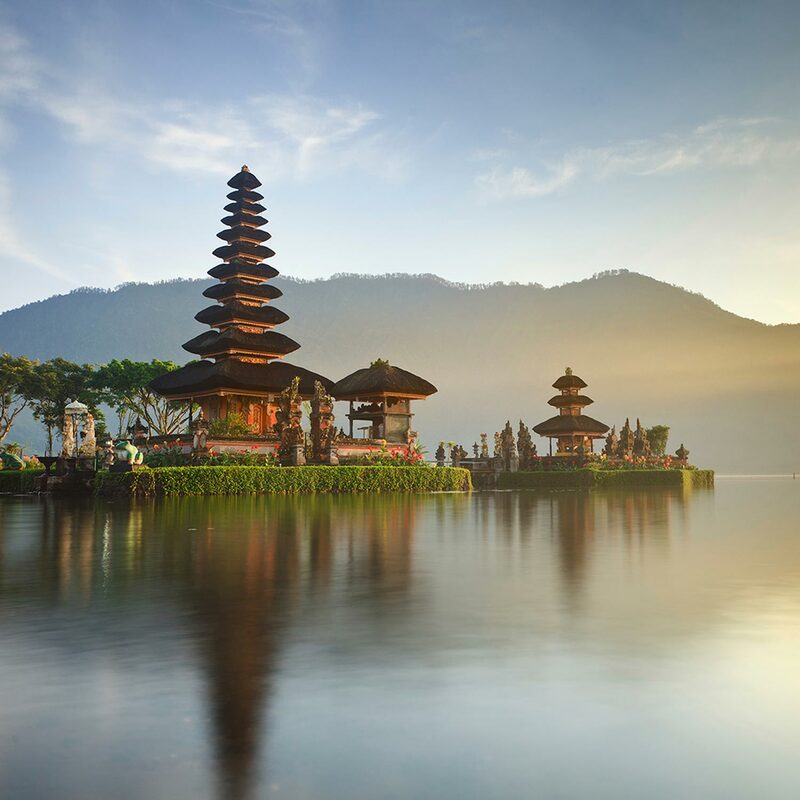 Located between Lombok and Java, Bali hosts a rich and diverse culture that is totally unique. There ‘s a spiritual feel on the Balinese island as you wake up every morning: it is a special island. Its people, its culture, its temples…makes this island unique and amazing. You fall in love just from the first moment…. Tanah Lot and Uluwatu Temple…the sea temples are just fascinating. Then you have Besakih Temple, Tegallalang rice field terraces, Jatiluwih, Ubud Monkey Forest, Goa Gajah…so many places, so many temples, villages, waterfalls…From Jimbaran, Sanur, to Menjangan, Lovina, crossing to Amed, Candidasa…All the parts of the island are worth visit. And special mention for Ubud, the most cultural village of Bali. A must do! We will make your stay in Bali unforgettable!